SeaVees crewmembers D.J. 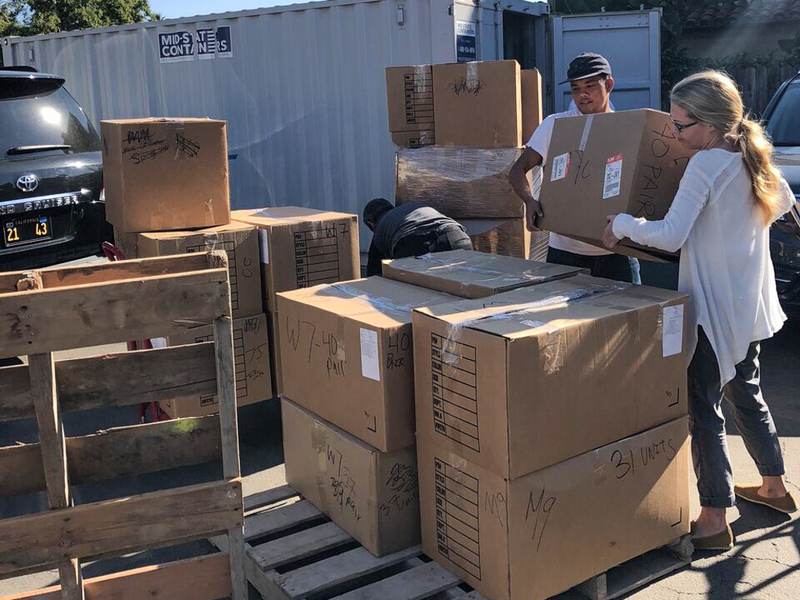 Javier and Anna Tobler help ship more than 1,100 pairs of shoes for families hit by recent California wildfires. Combined, the recent Camp, Woolsey, and Hill fires destroyed nearly 20,000 homes and structures. Last week, California’s Department of Insurance reported that preliminary claims total more than $9 billion in losses. As the long road to recovery begins, every forward step, even a small one, is important. In an effort to help earlier this month, Santa Barbara–based SeaVees, a footwear company launched in 1964, teamed up with Soles4Souls — a Nashville-based nonprofit that has handed out shoes in 127 countries since 2006 — to distribute more than 1,100 pairs of brand-new SeaVees to people displaced by those three wildfires.